Aleksandr Lukashenko is resilient. The President of Belarus has stood firm against the European Union (EU) and its renewed political and economic sanctions in response to his increasingly autocratic rule. In six months, he has freed two political prisoners while a dozen remain in custody. On September 23, nation wide parliamentary elections ran smoothly in an atmosphere of total indifference from the great majority of the population. Russia, for its part, supports Belarus with financial subsidies, ready to buy out everything possible at discounted prices. The village was still part of the Soviet Union when Yuri Chizh – today one of Belarus’ richest businessmen, with close links to President Aleksandr Lukashenko – preferred to run around in the neighboring forest rather than attend school. To get up to childhood mischief, he had to carefully avoid his family’s bright yellow home, which stood only a few meters between the school and the kolkhoz. At that time, it seems, the two intersecting streets of Sabali in Biarozovsky district, 250 kilometres south of Minsk, were full of life. Forty years later, while the petrified Soviet Brezhnev era has disappeared into history, the village has plunged into a kind of hibernation. The school has been dismantled, and families with children have fled to the cities. Most of the wooden houses lie empty – indeed, only 70 pensioners remain. The kolkhoz holds on unconvincingly, with two or three old tractors languishing in a yard. The endless wet and flat countryside, dotted with familiar birch trees, has become noticeably sadder. The yellow house is slightly less colorful. Chizh had to leave for Minsk relatively early, in order to commence studies in electronics at the Belarusian Polytechnical Institute. From then on, everything moved quickly. He had a chance to exercise his entrepreneurial skills during perestroika, and now heads a business empire based on the Triple holding, which reprocesses and exports oil products bought from Russia at discounted prices. Chizh has also diversified into civil engineering, construction, manufacturing, restaurants, food production and a network of hypermarkets – the Prostore chain. He has been especially prominent in media headlines in recent times for building the first luxury Kempinski hotel in central Minsk, just behind the Circus and near the unchanged Sovietera Gorki Park. Although associated with the Slovenian Riko Group in the context of that project, Chizh has failed, however, to escape the EU’s sanction list. Blacklisted since March, Chizh is undoubtedly paying for his close links with Lukashenko, and, by implication, for his impressive success. Yet in compensation for the European punishment, his boss has just granted Chizh a 99-year concession over his native Sabali village. Essentially, this means that every single square inch of the land where he grew up ultimately belongs to him. After years of fruitful wanderings in the capital, the oligarch has returned home. He has brought with him an immense sponsorship project focused on building a large complex boasting a hotel, restaurant, ethno-museum and a host of other infrastructure. In theory, Sabali will benefit as a revitalized rural center. At the very least, the faded paintwork of the wooden houses will be refreshed. Belarus is not devoid of successful private companies. Chizh’s Triple ranks among the leaders, but many others follow close behind. 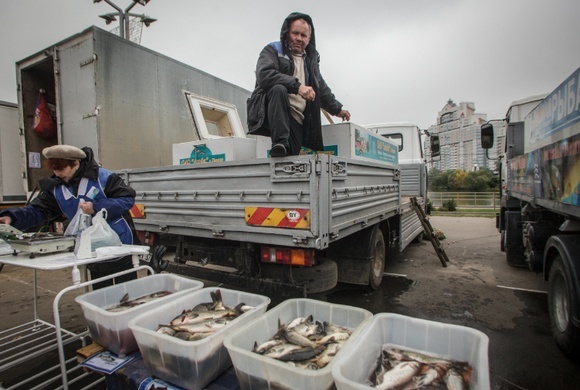 Alexander Moshensky’s Santa Impex for food – particularly seafood – processing, Pavel Topuzidis’ Tabak Invest, Alexander Shakutin’s Amkodor for road-building machinery, or Anatoly Ternavsky’s Univest-M group – with activities ranging from petrochemical exports to banking, restaurants and construction – have no reason to be ashamed. Among these business leaders, only Ternavsky has been the subject of EU sanctions. Notably, the other three have significant investments in neighboring European countries. The old Belarusian economic clichés of arms traders linked to rogue states (such as fellow oligarch Vladimir Peftiev – blacklisted) and manufacturers of heavy machinery have faded away. Now engaged in more conventional enterprises, most ‘normal’ Belarusian businesses owe their success to efficient and skilled CEOs, whose first talent is to maintain close, loyal and ‘friendly’ relations with their unique common business boss: Lukashenko. Ironically, in the few remaining post-Soviet dictatorships, the Marxist economic model has been reversed. Political superstructures today prevail over the base. The new bourgeois class of Belarus, owners of the means of production, have been reduced to acting as presidential ‘wallet persons,’ or koshelki as they are nicknamed in Russian. They cannot even pretend to stand alone as independent partners or shareholders in the national wealth. Lukashenko usually considers these individuals as simple business managers tasked with implementing his instructions. Their dependence is as prodigious as their efforts to maintain the President’s confidence. Ternavsky, for instance, has been obliged to employ Lukashenko’s daughter-in-law, Anna. He also sponsors the Presidential Sport’s Club, headed by Dmitri Lukashenko, Alexander’s son and Anna’s husband. Meanwhile, Chizh seems to prefer playing ice hockey on the same team as the President. He cannot refuse to sponsor the cultural resuscitation of Belarus’ birch-dotted countryside in the south, and when, for mysterious reasons, several of his top managers were arrested, he remained silent. The new Christian cross presented recently to Sabali by a Polish historical society, commemorating the Polish-Belarusian insurrection against Tsarist Russia in 1863 – and which will hardly be a tourist attraction in the middle of the kolkhoz – has a poignant political meaning. In Belarus, Lukashenko decides almost all matters. The 58-year old former state farm manager assumed power in 1994, and recently described himself in a widely publicized interview as “the last and only dictator in Europe.” Though most infamous internationally as a result of accusations of torture and other human rights abuses – often focused on opposition figures – his political choices also determine business strategies. Chizh may have willingly agreed to allocate some money to his childhood village so long as he could also run his business according to his own interests and economic rationale. Now on the EU sanctions list, he has fallen as collateral damage in the President’s acrimonious relations with Europe, entrapped within Belarusian diplomatic strategies.